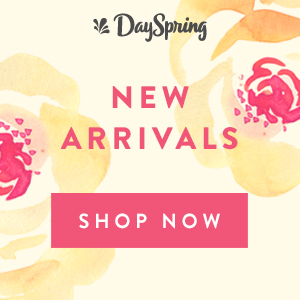 Outside of planning an event, publicity may be your most time-consuming event task. You’ve got to create it, submit it, and distribute it. 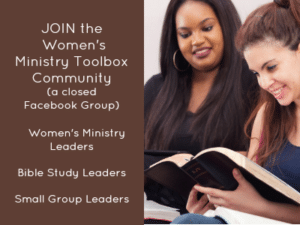 Recently I had a leader email me with some questions about selecting a new logo for their women’s ministry. Perhaps you’re struggling with the same task. 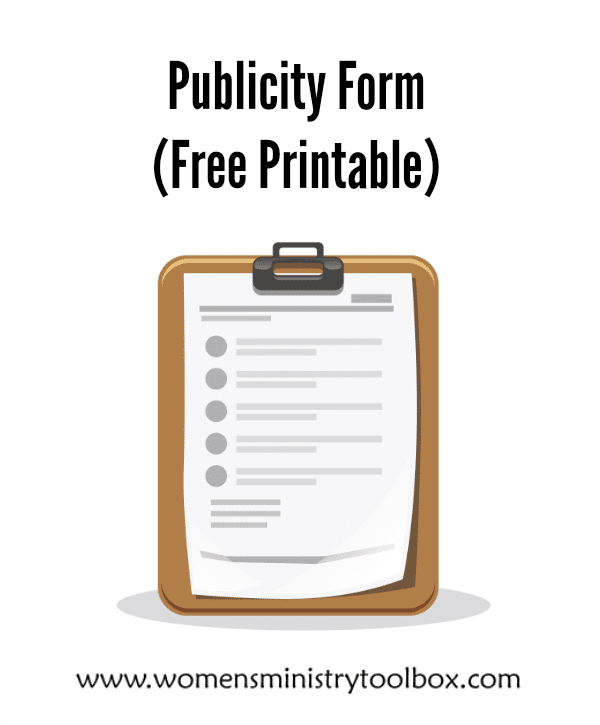 Publicity has the potential to make or break your event. Too little publicity and no one knows to come. 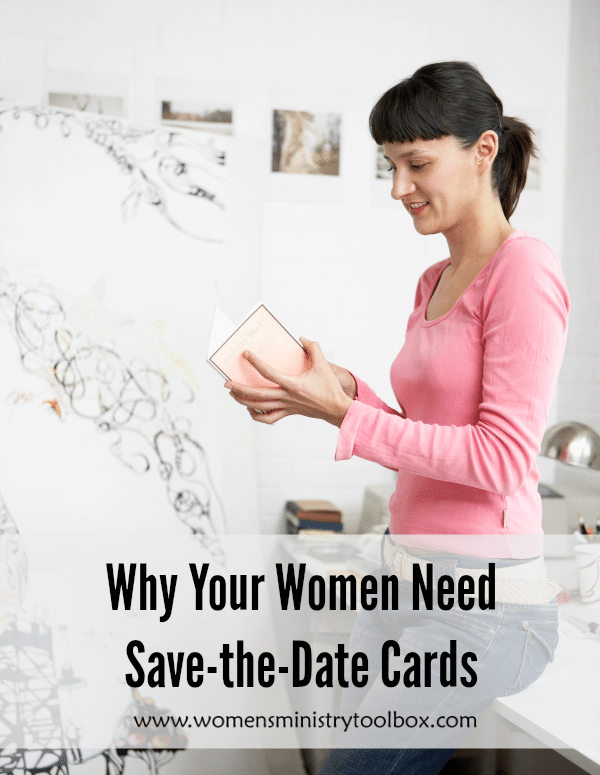 Do your women know when your next event is? 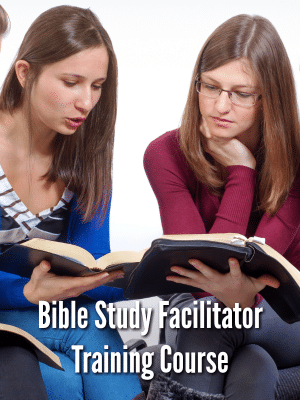 Quite by accident I stumbled upon an effective, new publicity idea when I was working on promoting our Bible Journaling Event. That event is a perfect outreach event. The problem lies in getting the word out. 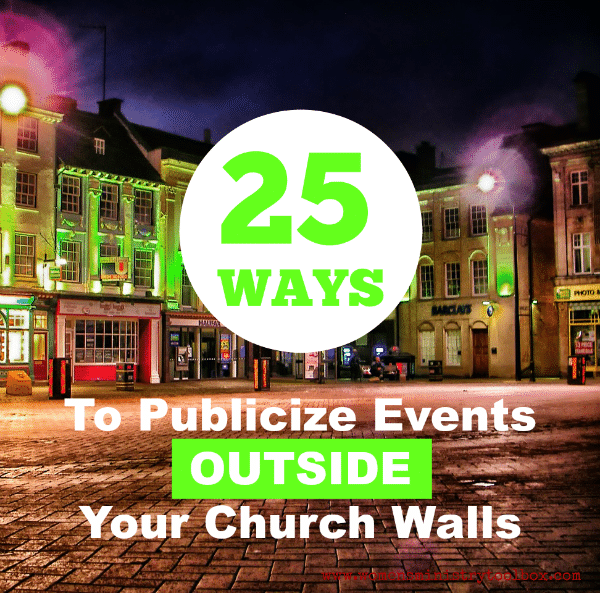 Not long ago I shared 25 Ways to Publicize Event Outside Your Church Walls. One of the ideas listed was do a TV interview. 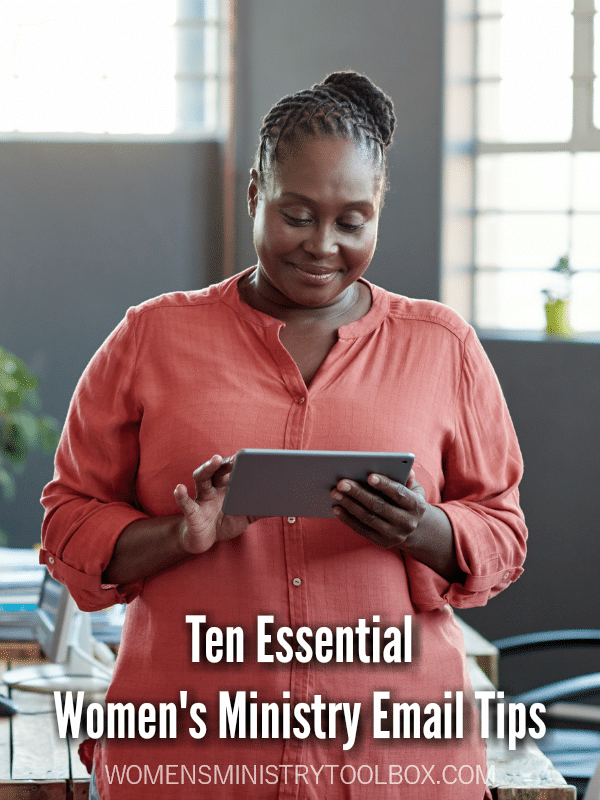 I once received an email from a church staff member that was empty. There was not a single word in the body of the email. But there was an attachment. Newsletter 25. 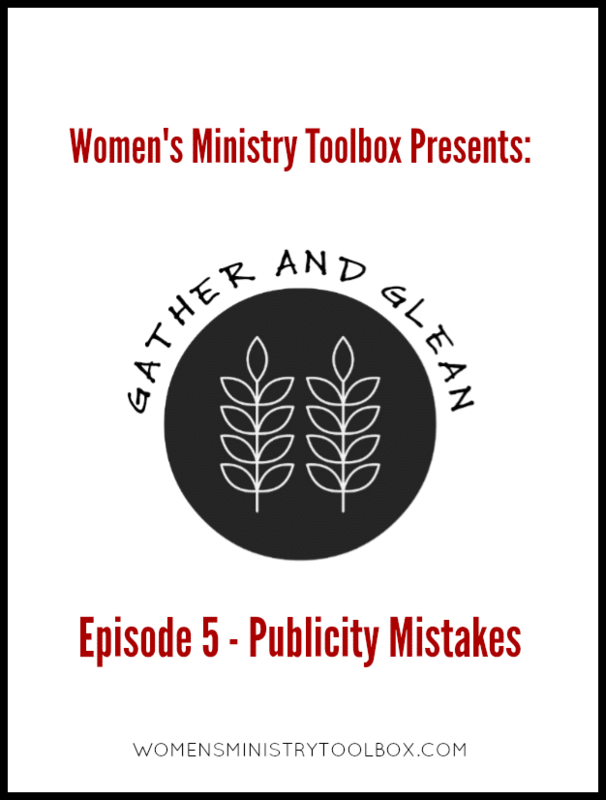 Not every event necessitates publicity outside of your church community. When it comes to reaching those beyond our church walls we sometimes struggle with how to get the word out. 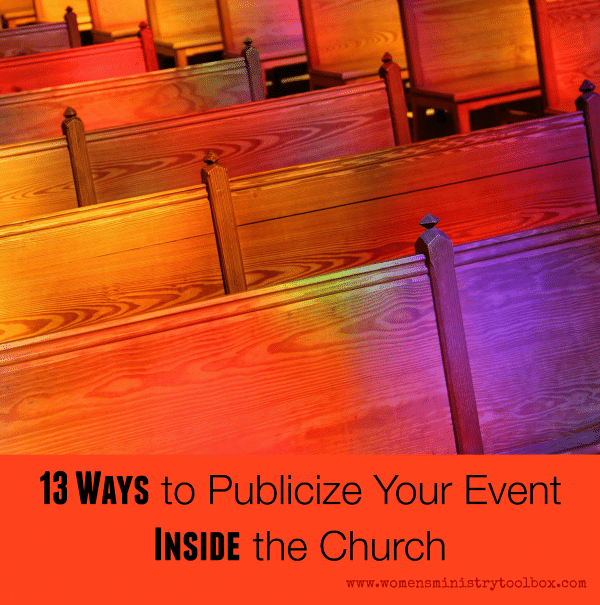 Earlier this week I shared 13 ways you can publicize events inside your church. That was only half the list! 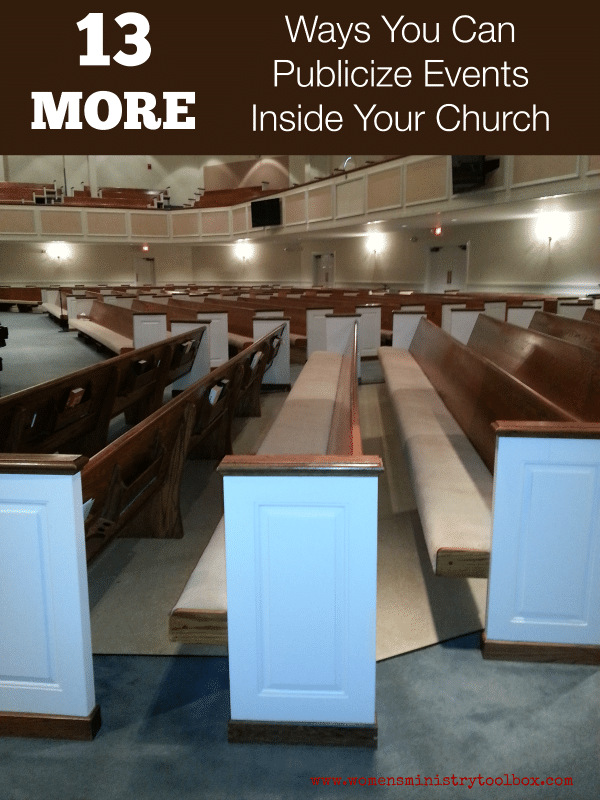 I’ve got 13 more publicity ideas for inside your church for you. If women don’t know what is going on they can’t attend. 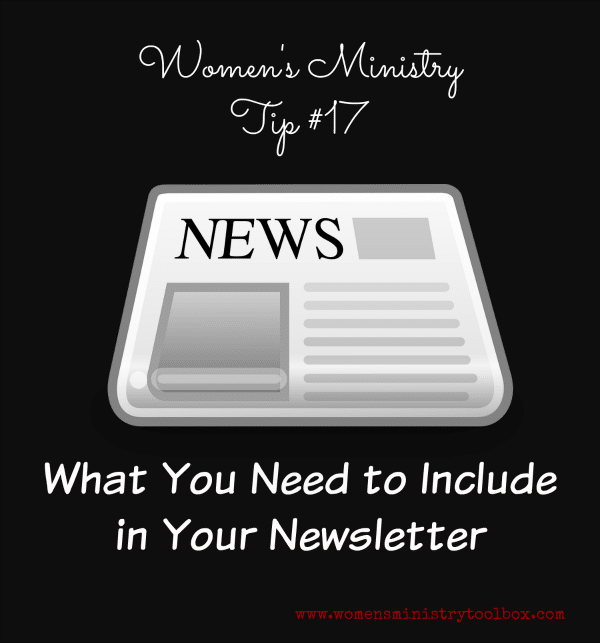 Tip 17 is a checklist for you to use as you pull together your Women’s Ministry newsletter. 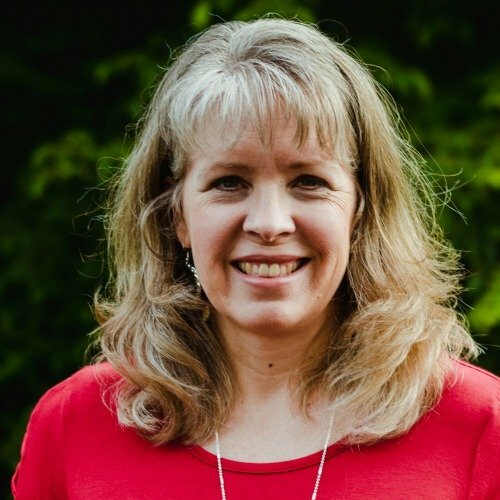 Do you ever feel like the publicity for your Women’s Ministry events is falling on deaf ears?